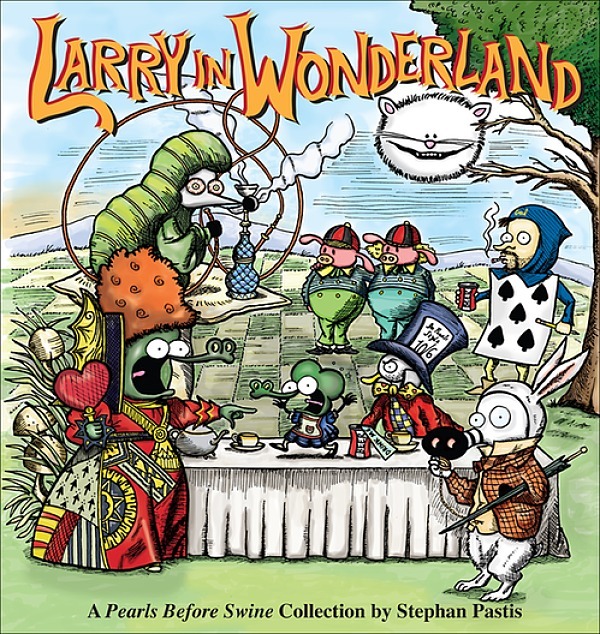 For those of you whose city I wasn’t able to get to on the last book tour, I just signed a bunch of “Larry in Wonderland” books (and drew a character each) at my local Barnes and Noble. So if you want one, just call and order and they’ll ship it to you. I also signed a few other Pearls books as well. The number is 707-576-7494, but call quick, as these often go quickly.